I know what you’re thinking. “Oh please don’t let her talk about Trump vs. Clinton!” And guess what? I’m not. I voted, and it’s probably not who you think I voted for. My choices didn’t make me unintelligent, misinformed, or anything else. As a responsible citizen of the United States of America, I simply just did my civic duties, voted, and didn’t feel the need to harm or offend anyone with spewed words. 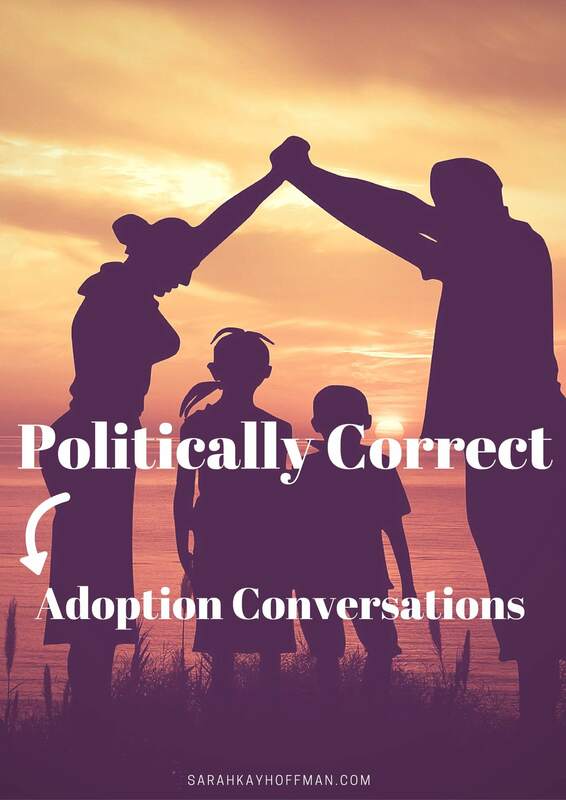 When I say politically correct, I’m talking about as it relates to adoption. This has finally been the year where I’ve felt the effects of adoption more. Truth be told, it wasn’t until we added two, then three that I have become fully aware of how our family looks from the outside. This is where it all starts, and far from where it ends. 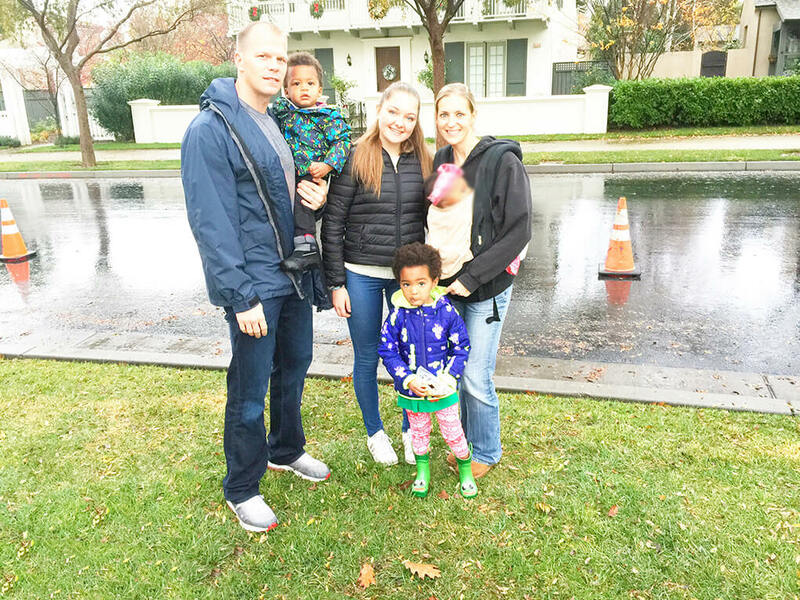 In 2016, I’ve encountered 3 larger “politically correct” issues on adoption/raising children of another race adoption, and I feel like I would be remiss if I didn’t share them. Gotcha Day. There is a tab on my blog called, “Gotcha Day Videos,” but now this year Adoption.com posted an article called, “Getting Rid of ‘Gotcha Day,'” with the premise that Gotcha Day is not politically correct. “In this personal essay, one mother explains why this term is offensive, and better ways to celebrate this momentous occasion.” The idea from the article and many others like it is that while parents of adopted children are celebrating, it’s also like a part of the child’s life has ended. “Gotcha” also implies a “taking away” of child from former parent(s) and or life. Honestly? I’m not changing “Gotcha Day” to anything else. Instead of focusing on the words and all the negative connotations that could attach to it, how about just leaving the words as they are and as they were intended to be – about love, about selflessly wishing and praying so hard for a child that by the time an adoption finalized was to say, “Our greatest joys are now with you, here with us, forever?” I understand that it might not be this way if you’ve adopted an older child, and in that case, by all means, call it “Forever Family Day,” or whatever else works for you. But to tell all families that “Gotcha Day” is not right or politically correct is also not right or politically correct. I stay away from politics because that’s not my thing, it’s not my passion nor what I feel I am educated enough to sound off on (by the way, most of the people who are sounding off also shouldn’t be, but that’s for another day!). But I don’t shy away from the politics and issues of adoption and adopting children of another race. My thoughts are probably not always politically correct. They are the same as what many people think and feel, but far different than others. But I am able to talk about them and share viewpoints because, unlike many people who write and spew thoughts, hate, and other commentaries, I live this 24/7…..for better or for worse. And at the end of every single day, whether I have been politically correct or not, my heart loves our babies with every single ounce of my being, and my intentions are as real and raw as they come when it comes to wanting the absolute best for them. I’d love to hear your thoughts on any of the issues above. p.s. I love these people. A hell of a lot. Love conquers all!! “Are they yours?” Could have so many meansing… from wow I am impressed and encouraged by you, your family and your choice to adopt all the way to the ignorance of the obvious. You are paving a way for love and sharing your journey inspires us all to love the people in our lives as God does and to see them as God does! Which is beautiful masterpieces just as they are. Wish I was there to meet you at the mall playground friend. Sarah, As you know, I too have 3 adopted children of another race, Three 4yr olds. I have had several people make comments. “Why didn’t you adopted your own kind”, “Are they all yours”? “did you have them naturally”? the one that really angered me, “Ew how did that happen”? they would approach me about my daughters hair all the time. I have to say, nowadays my two daughters hair is more maintained then most kiddos I see nowadays. I have gotten pretty good at doing it, if you ever want to pick my brain. I actually prefer the natural looks. Who are they to judge? I know you know this but brush it off. Your children are your children and they are beautiful and you give them your all and IT IS ENOUGH. Hi, Christina! Thanks for stopping by. We should really get together next year:) Thank you for the thoughts! Christina, I’m very interested in hearing your story and how life is with 3 adopted 4 year olds! Do you have a blog or Instagram? Following! I can’t wait to hear more of your story! My kids are Chinese and maybe its Iowa Nice, but we don’t get the, “are they your’s” very often. But some people do imply that we should have gone the foster-adopt route. Like an orphan living in one country is more deserving of adoption than one in another country. We have very personal reasons why we choose to adopt and why we chose to adopt in China and thank goodness we live where we do and can make those choices! I had a friend that was so hounded by a woman about how they should have adopted domestically that she finally siad that the day the woman adopted, they could revisit the conversation. My daughters are older and we talk a lot about stereotypes and how they impact everyone. And how they might not like stereotypes applied to them and they shouldn’t apply them either. But also I emphasize that they are Chinese and that is part of them. If I say to someone, “my daughter is the Chinese girl” when she is surrounded by blonds with ponytails, I am not defining her but just establishing a fact. We all do the best we can. If everyone did the best they could with their kids, adopted or bio, the world would be a great place. Hi, Jackie! Thank you for all the wonderful comments and thoughts. For me, it’s nice to see and hear some other sides to these topics and to adoption in general!